Craftsman pressure washer parts will become handy at one stage or another in the use of your Craftsman pressure washer. 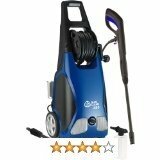 We have already reviewed the different Craftsman pressure washers elsewhere on this site. In this article we list a whole range of available washer parts for Craftsman that you might need. It is a great advantage that Craftsman has gone out of its way to make available specific parts for its models. This ensures that you are able to use parts from the same manufacturer especially when it comes to replacement issues. Enhancement parts are much easier to match and are of no consequence compared to replacement parts. This what makes a pressure washer manufacturer that goes out all the way to make both replacement parts and enhancement parts superior in our view. The following are various pressure washer parts from Craftsman. We will also comment on different user experience concerning as many parts as possible to give you additional insight as to what to expect. 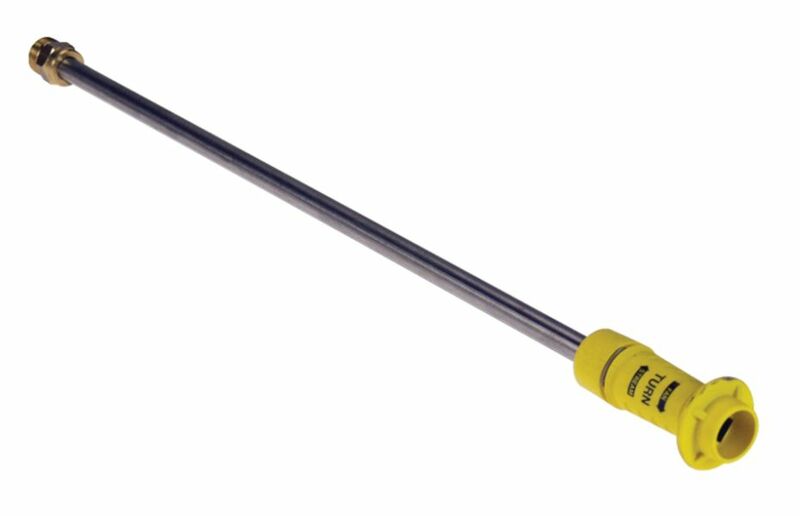 As the name suggests, this wand is designed to adjust your pressure according to a required output ranging from 0 to 40 degrees. Pressure adjustment from high to low is necessary when cleaning. In addition, some surfaces or objects will be cleaned better with a pin-point or direct pressure stream such as removing dirt from heavy truck tires. Yet others such as cleaning your vehicle's windshield will require a wide fan cleaning in which the pressure stream is spread. This wand will also facilitate that. This wand however is meant for Craftsman pressure washers of maximum 3000psi. You may not use it if you have say a 4000psi washer. In as much as it is made for Craftsman, it can also be used on any other pressure washer that meets certain specific requirements such as an M22 fitting on your spray gun. You may want to note that this wand is initially supplied with your new Craftsman pressure washer. It is however also available as a replacement wand or part. It perhaps will need to be replaced after a year of heavy use. There are some complaints about this wand. Of particular note is the failure of the high and low pressure adjustment function after sometime of use as well as the leak on the o-rings. This two problems are apparently related. This replacement wand will cost you some $25.00. You are not under any obligation to replace your wand with this one from Craftsman. If you are unhappy with their wand. Simply look for one that fits to your spray gun and you will be good to go. Sold in a set of five (5) this is the Craftsman quick connect tips. They are attached at the front end of your pressure wand to control your pressure stream. These tips are designed to get you started right away. You simply attach quickly your required tip depended on the job you want to do. The tips are color coded. The red tip is a 0 degree direct, pint-point spray which is engraved Z on top. 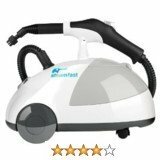 True to its use it has a small straight hole on top to release a direct straight spray. Asa side note, to get an even better direct spray you may also consider the Craftsman turbo spray tip below. The color red also means this can be a dangerous tip at high pressure when directed at certain material. It can even gouge the wood for example. The other colors are yellow at 15 degrees, green releasing spray at 25 degrees and white releasing water with a spread spray at 40 degrees. The fifth tip is a black colored soap tip which releases spray at low pressure. You use this tip when you want to first spray a detergent or disinfectant before washing out with water using any of the four other available tips. Selling at $30.00 these Craftsman pressure washer parts are to be used on pressure washers that release a maximum 4000psi. This means a lot of pressure washers are covered from 1000psi all the way up to 4000psi. The major disappointment with these Craftsman pressure washer parts is not found in the structural design but in how they are sold. It is disappointing that most stockists if not all online and offline sell these tips as a set of five even when you only want to replace one of them. In other words you spend more than you really need to. The green 25 degree tip is generally the most sought after by washer owners. Even that you won't get it separately. 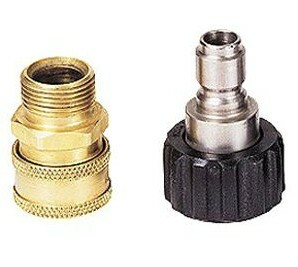 The turbo nozzle is an important part of Craftsman pressure washer parts. It will cost you some $60.00 to acquire. 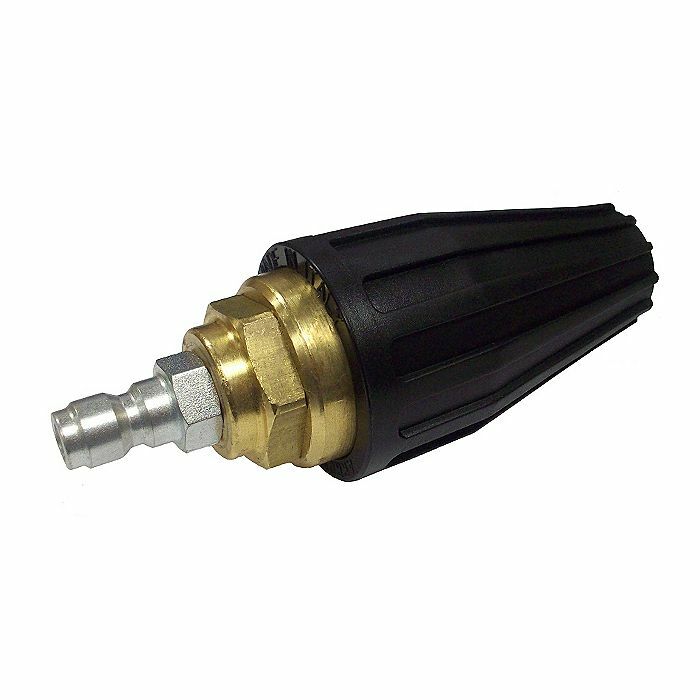 It is a very useful nozzle to have in your collection as it is designed to have a direct powerful spray that makes a difference when you are cleaning concrete surfaces and stubborn dirt and mud stuck to vehicles and heavy machinery. It is meant to attach quickly to your wand. 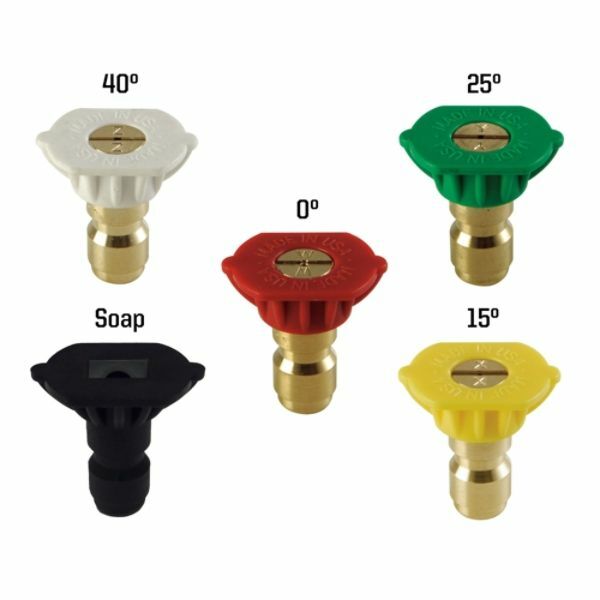 This nozzle is so good it is actually recommended to step up pressure on low PSI pressure washers such as 1500psi and 200psi. It boost your pressure to a degree enabling you to clean through the most challenging home projects. An important note of caution here is that using the turbo nozzle with a high PSI washer such as 4000psi may actually lead to damage to property, surfaces and items. There is some experience needed when using the turbo nozzle to avoid damage. It can even destroy windows and strip pain in the hands of an inexperienced and underestimating user. As an overview, the turbo nozzle can work to step up pressure even higher on a higher psi pressure washer. It can also be used to increase pressure to a degree on a lower psi pressure washer in order to accomplish certain jobs. This gun sells for about $30.00 online and is sometime very difficult to find offline. It comes with a trigger safety lock that has to be unlocked when you spray. There has also been some issues around this feature. It can become annoying to be always releasing the safety button in order to spray. It will work with any pressure washer not exceeding 3200psi and with M22 fittings. The major concern with this Craftsman spray gun which plagues many users is the leak that occurs on the trigger after an unexpectedly short period of use counted in months. Hose replacement will be necessary should anything happen to your original pressure washer hose. Usual mistakes leading to hose replacement include grilling it on the pressure washer exhaust. In fact specific Craftsman washers are known to have a design short-coming which often leads to hose making contact with the exhaust consequently cooking the hose. We mention these models on our Craftsman washer reviews page. This replacement hose is 30 feet long. 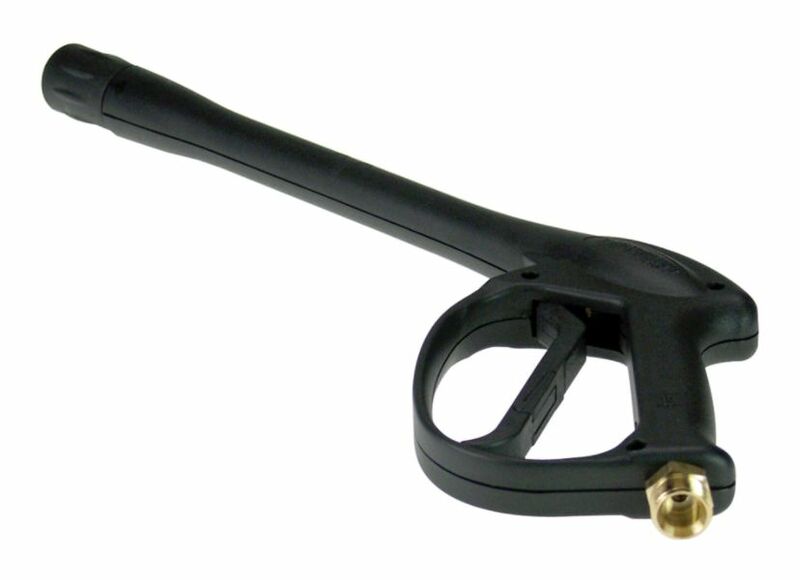 It is used with pressure washers that have maximum power 3000psi at 2.5GPM. These washers do not necessarily have to be Craftsman. All you need is your washer pump and spray gun to have male M22 fittings. It has female connectors at both ends. 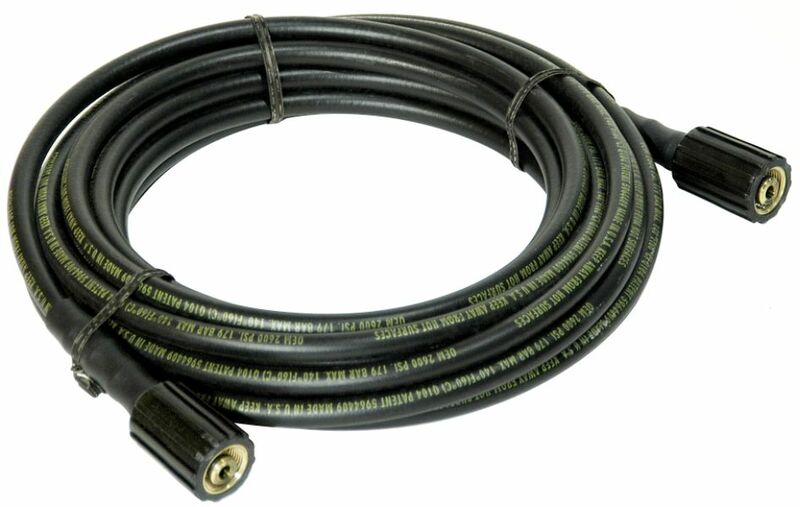 This hose will cost you $30.00 and is only to be used with cold water pressure washers. This is admittedly a very weak hose which is not as strong as the original one supplied with the pressure washer. The best way to take care of this seemingly weak hose is to ensure you avoid having it kinking. Always use it only after disentangling it. Keep it out of the hot sun. This is one of the "compulsory" connect systems for anyone with a pressure washer. It will make your life a whole lot easier. Essentially this system does pump to hose connection as one set and hose to gun as another set. To be set you need to sets of these at $20.00 each. This is admittedly pricey but very useful and worth the spend. If you need to you might also get a third set to connect your spray gin to any accessory. As shown in the picture this is largely heavy metal specifically stainless steel. This is a good buy.